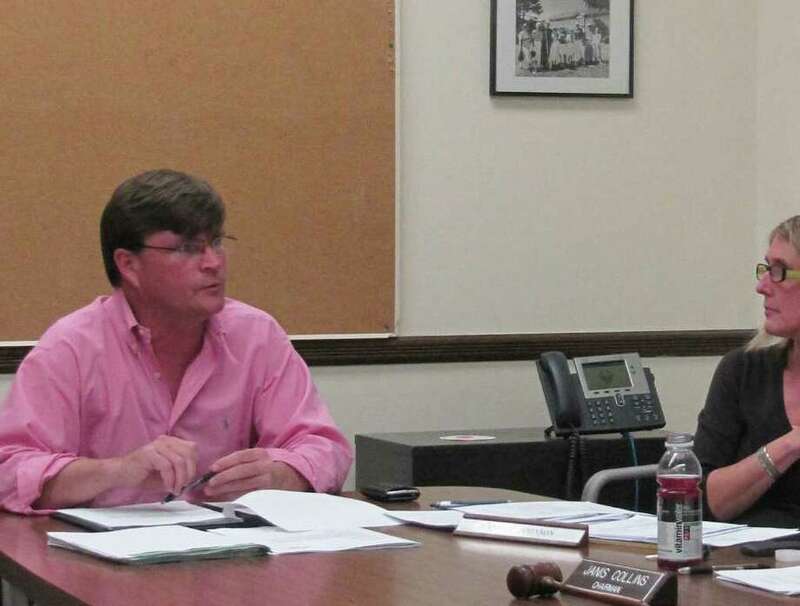 The Westport Parks and Recreation Commission has tabled a vote on a proposed increase to the daily parking fee on weekends at Compo Beach, pending the Representative Town Meeting's action on the budget next week. The Board of Finance has recommended a $70,000 cut in the parks and rec budget for the next fiscal year. The fee increase under consideration, which park and rec officials see as a way make up for the budget cut, would boost daily parking fees for non-Westport residents from $40 to $50. It was estimated at the commission's Monday meeting, that if the same number of out-of-towners visit Compo this year as in 2010, despite the $10 parking fee increase, the town would take in an additional $40,000 in revenue. The RTM Parks and Recreation Committee recommends the money be restored, but that doesn't mean the rest of the RTM will follow suit. "I think the chance is 50/50 we get the $70,000 back," said Bill Meyer, chairman of the RTM Parks and Recreation Committee, "because parks and rec is a revenue-producing department and only about $250,000 (of its budget) is paid for by taxpayers." The Parks and Recreation Department's budget is approximately $4.2 million, according to Parks and Recreation Director Stuart McCarthy. Parks and Recreation Commission Chairwoman Janis Collins said the $70,000 cut would necessitate cuts in clerical staff, forcing parks and rec supervisors, she said, to take on payroll and purchasing clerical responsibilities while managing over 500 part-time seasonal employees. "Clearly this will impact their ability to be effective supervisors," she said. Collins said the Board of Finance, with its recommended cut, "seemed to send a message that they think our ability to generate revenue is not connected to our expenses. However, we cannot raise fees unless we feel confident that we can deliver the services our customer's expect," she added. "It's a beautiful beach, and we offer many services. Raising the weekend daily parking fee was a way to generate more revenue to pay for these services,"
There is, however, a question remains about where the money goes when from increased fees. While that money goes directly into the town's general fund, what is not clear is how much is passed back to the Parks and Recreation Department.